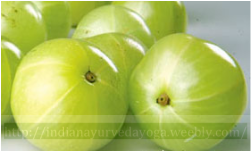 2-grams powder of Indian gooseberry, or aamla (phyllanthus emlica) with ghee() or can be taken with honey every night. 1/2-gram powder of eclipta alba(bhringraj) leaves with 1gram powder of black oleum sesame(Black Til), should be taken every morning. 1-gram of Boerhavia diffusa(punarnava) root powder with 1 cup of milk in every morning. ½ gram Vitex negundo(Nirgundi) and add 100mg Shilajit to it, should be taken with milk every day. 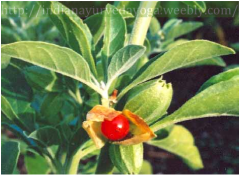 200-500 mg of Ashwagandha(somnifera),should be taken with one cup of cow milk every day for a year.